This is the best cuticle oil I have tried. Keeps nails in very good condition which as I have health concerns which affect hair , nails and skin is a difficiult task for any product. I’ve been using this nail oil for a while and I love it! My nails get dry very easily because of my work but I’ve definitely seen an improvement. I also get dry skin around the edge of my nails but this really helps solves that problem too, more than a hand moisturiser. The only thing is it takes a few minutes for the oil to soak in so you can’t touch anything. It is a tiny bottle but a little drop goes a long way! Have used this for about two years now and wouldn't be without it. Being over 50 your cuticles really dry up and this oil really keeps them supple. It's really good for the rest of your hands too. I pop it onto any dry areas I have. Highly recommend. Lovely product My third bottle. I have some nails after a lifetime of weak, splitting nails. I think all Jessica products are good. Just as the name says, this is phenomenal. Used twice daily for 2 weeks now and the nails/nail beds are visibly moisturized and less brittle. This Jessica Phenomen Oil Intensive Moisturiser is a fantastic product! I suggest it. The Jessica Phenomen Oil Intensive Moisturiser is a very good product - I use it every day before sleeping. I was delighted to receive the Phenomen Oil although had thought the bottle was bigger I already had some of this product that I had purchased from Hoar Cross Hall Health Farm and the bottle is much bigger and looking at the picture thought it was the same size. This Jessica Phenomen Oil Intensive Moisturiser is a great product! Can't live without it. 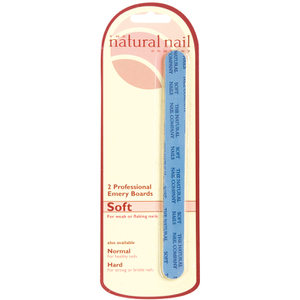 Moisturizes cuticles and improves healthy nail grow.